Protein will never hurt, especially after a boozy night. 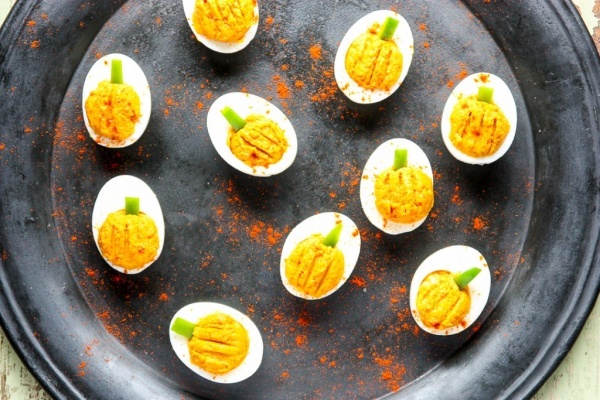 These cute pumpkin-inspired deviled eggs are fast to make and they might make a delicious lunch – in case you have nothing left in your fridge. Check out the recipe here for more detailed instructions.